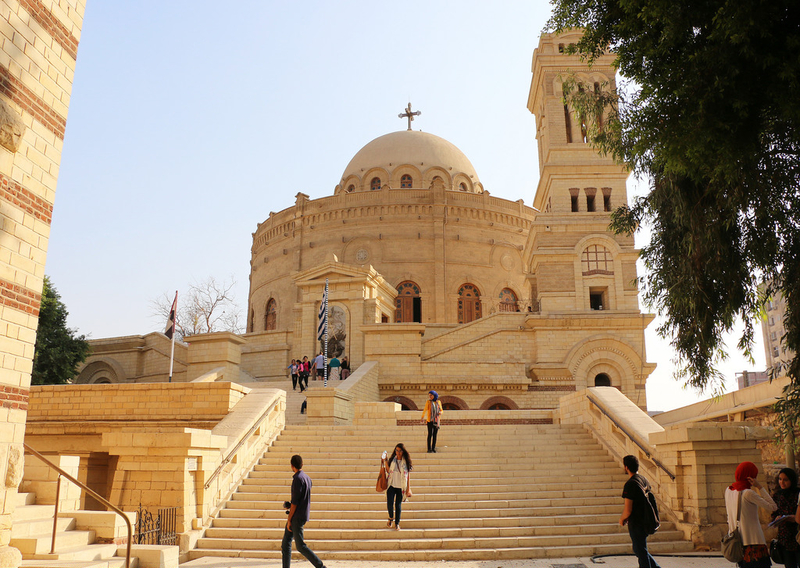 Egypt: A little over a week after the November 2 slaughter of seven Christians traveling from a monastery (see above), a 22-year-old Muslim man "holding a Koran and sharp tool," to quote an eyewitness, entered the St. George Church in Cairo during Sunday worship service on November 11. While shouting Islamic slogans including "Allahu Akbar!" ("Allah is greater! "), he wounded two Christian men, one of whom he struck on the head with his sharp object. Other witnesses report they "heard him say that he wanted to kill them because they were Christians." Police came and restrained the invader. While under arrest, he askedpolice to allow him to "kill the infidels... otherwise you will become infidels like them." Authorities later said the man had mental problems and was under the influence of drugs. The Christians replied that the media always present such Muslims who attack churches and Christians as suffering from mental illnesses. "The media uses words which don't reveal the truth," Ehad, a local Christian said. "Now we have discovered that ... he was holding a Koran and sharp tool [while] injuring some people on their heads. The media's role is to reveal the reality and not to hide information to make the Copt[ic Christians] calm down." Another local Christian, Majeed, added, "Lies and lies and lies... I'm sure that this criminal will not be punished." "Mentally ill, what?! How the media manipulates us!" exclaimedanother Christian, Hani. Raymond Ibrahim, author of Sword and Scimitar, Fourteen Centuries of War between Islam and the West. He is also a distinguished Senior Fellow at the Gatestone Institute and a Judith Rosen Friedman Fellow at the Middle East Forum.